In this category are labels and printers designed to suit popular freight packages such as Startrack, TNT, Couriers Please and more. You can download a label order form here. 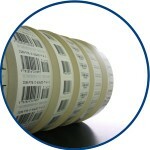 Buying Adstik / DH Technology Labels - What now? I need labels I used to buy from DH technology. Where do I go now?